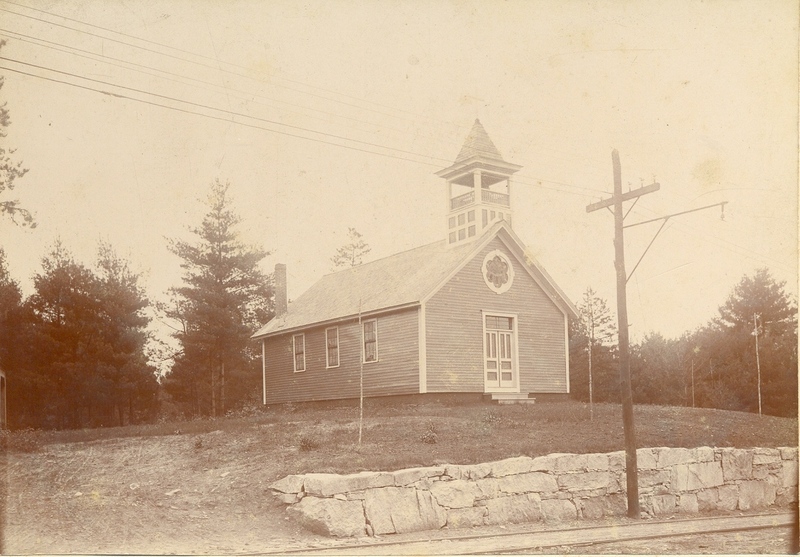 Between 1886 and 1905 the Chapel of the Holy Angels in Hudson served as a mission chapel of the Good Shepherd Episcopal Church in Nashua. Initially services were held at the number two school off River and Steele Roads. In 1890, after the town voted to build a new school house, the church purchased the old house and moved it onto the east side of Lowell Road, just north of Stewart’s Corner.Renovations were made to the exterior and the interior of the building. A belfry and cross was placed over the front gable. In the belfry there was a bell from the foundry of Clinton H. Meneely, Troy, NY. This bell was inscribed with “Let him that heareth say come.” The belfry and bell were the gift of Dr. and Mrs. (Virginia) Hills. Other improvements were also made and the chapel was consecrated in September 1892. Weekly services continued through 1905. By 1907 the building was sold and converted into a dwelling. Until recently we had no knowledge about the disposition of the bell. Next week we will see that the bell was saved and placed in another building in this town. Photo from the collection of the Hudson Historical Society. By Ruth M Parker in Churches, Lowell Road on April 17, 2015 .